WASHINGTON, DC, April 17, 2013 (ENS) – “Dammed, diverted, and drained … to a trickle” and facing another drought this summer, the Colorado River tops American Rivers’ annual list of America’s Most Endangered Rivers, the nonprofit river advocacy group announced today. From its headwaters in Rocky Mountain National Park, the Colorado River flows for 1,450 miles through seven U.S. and two Mexican states, sustaining tens of millions of people as well as endangered fish and wildlife. With its dramatic canyons, including the Grand Canyon, the Colorado is a vital water source for agricultural and urban areas in the Southwest. From Fort Collins, Colorado to Tucson, Arizona, the Colorado River provides drinking water for about 30 million people. The Bureau of Reclamation reported in December that there is not enough water in the Colorado River to meet the basin’s current water demands or future demand increases from growing populations and the impact of climate change. 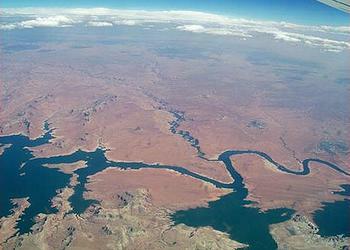 Climate change is expected to reduce Colorado River’s flow by 10 to 30 percent by 2050, . Warmer weather, less snow, a reduction in stream runoff, and changed timing of spring runoff are all likely impacts. Currently scheduled water deliveries from the Colorado system are not sustainable in the future if climate change reduces runoff even by as little as 10 percent. With snowpack once again below average, extreme drought conditions will likely persist when water is needed most. More dams and diversions are planned, especially in the upper basin in Colorado. Multiple projects are being proposed along the Front Range of Colorado that would remove more than 300,000 acre feet of new water from the Colorado River and its tributaries before the river reaches Lake Powell and Lake Mead. “This year’s America’s Most Endangered Rivers report underscores the problems that arise for communities and the environment when we drain too much water out of rivers,” said American Rivers President Bob Irvin. American Rivers this year made special mention of California’s Merced River, a U.S. Wild and Scenic River enjoyed by paddlers, anglers and hikers. But there is a proposal to raise the existing New Exchequer Dam, which would flood a stretch of river and wildlife habitat. The dam forms Lake McClure, the water is used for irrigation and hydroelectric power generation. The Flint River provides water for over one million people, 10,000 farms, unique wildlife, and 300 miles of exceptional fishing and paddling. Despite being in a historically wet area of the country, in recent years many Flint River tributaries have dried up completely. One of the most ecologically diverse river basins in the Southeast, the Flint River is at risk from pollution; absorbing stormwater, agricultural and industrial runoff as it flows south out of Atlanta. As part of the Apalachicola-Chattahoochee-Flint river system, the Flint is at issue in the “tri-state water wars” in which Georgia, Florida and Alabama are contending to determine water usage rights as Atlanta continues to grow beyond its resources. American Rivers says, “The State of Georgia must act to protect the Flint in droughts and at all times to safeguard the river’s health for current and future generations. The San Saba River is a scenic waterway located on the northern boundary of the Edwards Plateau in Texas. Flows of sparkling, clear water course through limestone bluffs and hills, supporting fish and wildlife and recreation. Through wasteful water use and unregulated pumping, irrigators are transforming a vibrant, pristine river into a dried up riverbed. The Little Plover River flows six miles from clear, cold headwater springs before joining the Wisconsin River. But increases in groundwater withdrawals have reduced river flows. Once prized for native brook trout and popular with anglers, the river’s flow has decreased to levels that threaten fish populations. In the past decade, portions of the Little Plover River were repeatedly sucked dry, making the river the unfortunate poster child for Wisconsin’s inadequate groundwater management. American Rivers is asking the Wisconsin Department of Natural Resources to better manage high capacity water wells to safeguard the Little Plover and other rivers and lakes across the state. The Catawba River has been named for the third time to the Most Endangered Rivers list, this time for the millions of tons of coal ash held in open lagoons along its banks. Millions of people in the Southeast depend on the Catawba River for drinking water and recreation. Yet, open storage ponds for coal ash, a byproduct of power generation, are threatening the river and local water supply with pollution. A Duke University scientist and Mecklenburg County water officials have detected arsenic, a constituent of coal ash, in the lake near Riverbend. 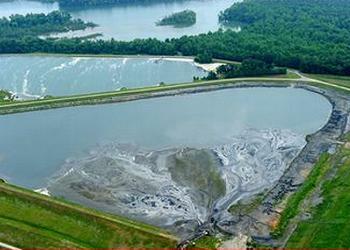 The Catawba Riverkeeper Foundation has found contaminated seepage into the lake from the earthen dams that contain the ash and suggests the dams are eroding. American Rivers is calling on North Carolina’s Department of Environment and Natural Resources to require Duke Energy’s Riverbend power plant to ensure the coal ash ponds are sufficiently maintained in perpetuity to safeguard the river and water supply for future generations. The 1.1 million-acre Boundary Waters Canoe Area Wilderness is the most popular wilderness area in the country. The South Kawishiwi River, which flows into the Boundary Waters, is threatened by copper-nickel mining proposals by Twin Metals Minnesota and others on adjacent unprotected public lands. If mining is permitted, the Boundary Waters and its clean water will be irreparably harmed by acid mine drainage containing sulfates and heavy metals, the American Rivers warns. The advocacy group is calling on President Obama, Congress, and Minnesota Governor Mark Dayton to block proposals to mine and efforts to weaken water quality standards in this sensitive and well-loved area. The Black Warrior River provides drinking water, recreation, fishing, and habitat for rare fish and wildlife. But the river’s Mulberry Fork is threatened by the Shepherd Bend Mine, a 1,773 acre coal mine which would discharge polluted wastewater at 29 points, including one just 800 feet from a Birmingham Water Works Board drinking water intake facility for 200,000 people. To mine the proposed area, Drummond Company must obtain leases from property owners, particularly the University of Alabama. American Rivers is calling on the University to stand up for the health of area residents, students, and drinking water customers by permanently refusing to sell or lease its land and mineral rights at Shepherd Bend for coal mining. Rough & Ready and Baldface Creeks, tributaries of the Wild and Scenic Illinois and North Fork Smith rivers, flow clean and clear through some of the wildest country in the West. 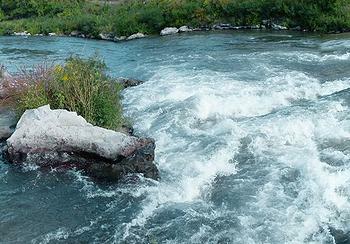 These eligible Wild and Scenic Rivers are celebrated by wildflower enthusiasts and hikers. 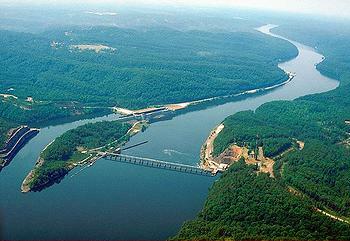 But American Rivers warns that nickel mines threaten to destroy these wild streams. Members of the Oregon Congressional delegation have asked the Obama Administration to withdraw the area from mining, but the administration did not act. American Rivers is asking Congress and the secretaries of the Interior and Agriculture to permanently protect the Rough & Ready and Baldface Creeks from mining before their clean water, fish and wildlife, and wild character are irreparably harmed. The Kootenai River provides critical habitat for several rare and threatened native fish species, as well as wildlife like grizzly bear and woodland caribou. But the river is threatened by runoff and waste from current mining and proposed expansions of five open-pit coal mines along the Elk River in British Columbia, a tributary to the Kootenai. American Rivers is asking the U.S. State Department to involve the International Joint Commission in order to halt the mine expansions until an independent study of the impact of current and future mines on water quality, fish, and wildlife is completed. The 104-year-old International Joint Commission is an independent binational organization that advises both governments on prevention and resolution of disputes about the use and quality of boundary waters. The Niobrara begins in the high plains of eastern Wyoming and flows 535 miles to its confluence with the Missouri River in northeastern Nebraska. Hundreds of springs feed the Niobrara as it flows through the Sandhills region – one of the largest grass-stabilized dune regions in the world. Unique geological formations along the river contain fossils of ancient horses, rhinos and mastodons, alligators, and turtles. Beloved by paddlers and anglers, the Lower Niobrara is increasingly threatened by too much sediment backing up in the upper reaches of Lewis and Clark Lake behind the Missouri River’s Gavins Point Dam. The sediment is raising the level of the Niobrara and threatening local communities with flooding. American Rivers says that to safeguard the Wild and Scenic Niobrara and its communities, the U.S. Army Corps of Engineers must improve sediment management within the Missouri River system and must prioritize funding for this issue in their Fiscal Year 2015 budget.